EPA Website This is old, just stumbled on it, on the interweb. 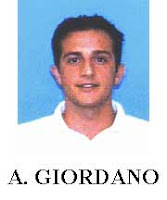 (07/18/03) Carlo Giordano and his son, Allesandro Giordano, both of Nashville, Tenn., were arrested on July 10 in Nashville on charges that they and their company, Autodelta USA, illegally sold automobiles in California that violated federal Clean Air Act (CAA) and vehicle safety standards. Both men and their company had been indicted on July 2 in U.S. District Court for the Central District of California in Santa Ana for conspiracy to defraud the United States, and on seven counts of wire fraud and three counts of making false statements in documents required by the CAA. The charges allege that the defendants illegally imported approximately two dozen post-1995 model Alfa Romeo automobiles into the United States for sale to the public, falsely claiming that the cars would be for personal use only. Alfa Romeos have not been built to American safety and environmental standards since the 1995 model year. U.S. law allows the importation of automobiles that do not meet American standards provided that the cars are for personal use and only if the cars remain in the United States for a limited time. If convicted on all charges, each of the Giordanos face a maximum possible penalty of five years in prison on each of the 11 counts in the indictment. Autodelta could be sentenced to fines of more than $5 million, if convicted on all counts. The case was investigated by the EPA Criminal Investigation Division and the Office of the U.S. Bureau of Customs and Immigration Enforcement. The case is being prosecuted by the U.S. Attorney’s Office in Santa Ana, Calif. An indictment is merely an allegation and all defendants are presumed innocent unless or until proven guilty in a court of law. # Carlos Giordano was charged in the Central District of California with multiple counts. # Carlos Giordano illegally imported automobiles that did not meet the United States emissions standards. 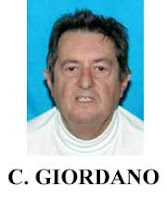 # Carlos Giordano fled the country. He is believed to be in Italy. # Alessandro Giordano was charged in the Central District of California on multiple counts. # Alessandro Giordano illegally imported automobiles that did not meet the United States emissions standards. # Alessandro Giordano fled the country. He is believed to be in Italy.